This pock-marked trio of buildings comprises the venue for the shooting events at the 2012 London Olympics. 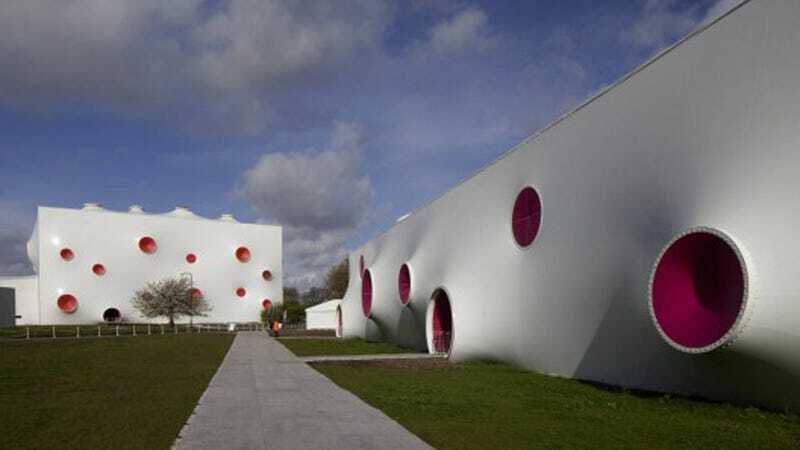 Designed by Magma Architecture, the colorful structures look like someone unloaded a bunch of rounds into them, fitting for the place that hosts gun-toting competitions. Each 3,800-seat building will be home to events in the 10, 25, and 100 meter Sport Shooting category. The first medal of the games will be awarded here for the Women's 10 meter Air Pistol on July 28. Located in the city's Woolwich neighborhood, the venue is separate from Olympic Park and is on the grounds of the historic Royal Artillery Barracks. Though it's temporary and will be taken down when the games end in August, it will be reassembled for the 2014 Commonwealth Games in Glasgow.